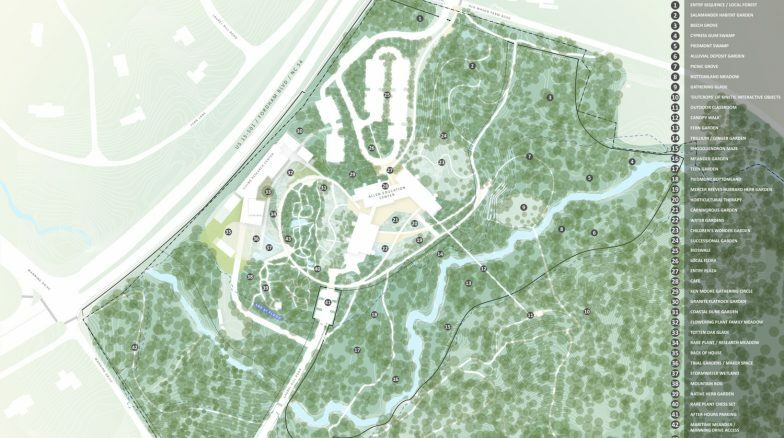 Surface 678 worked with the UNC Herbarium and the NC Botanical Garden to create a feasibility study for the herbarium, which grew to encompass a comprehensive site plan for the plant biodiversity research center. 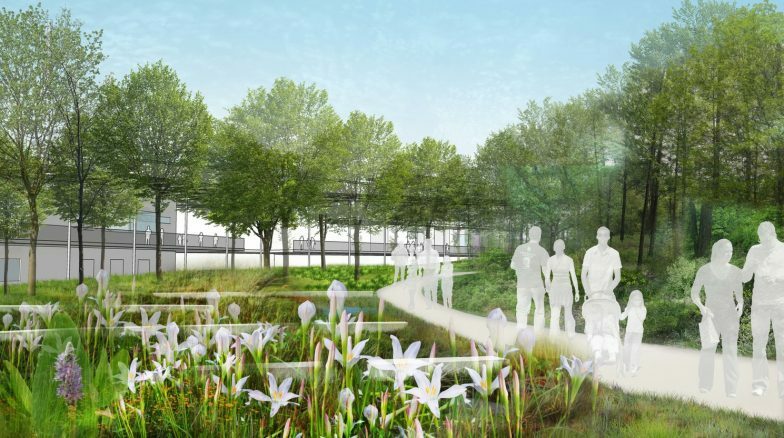 The scope of Surface 678’s design included pedestrian and vehicular circulation, specifically path hierarchy; the re-establishment of existing gardens; proposals for new gardens and relocation of gardens. 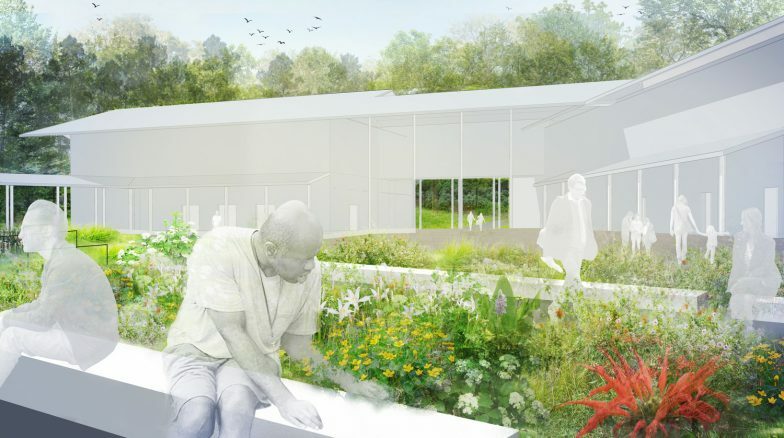 The NC Botanical Garden is working towards a goal of 100% native plants, so all of our garden suggestions incorporate ways of working towards that goal. Some suggested gardens included a beach grove, piedmont swamp, fern garden and rhododendron maze. 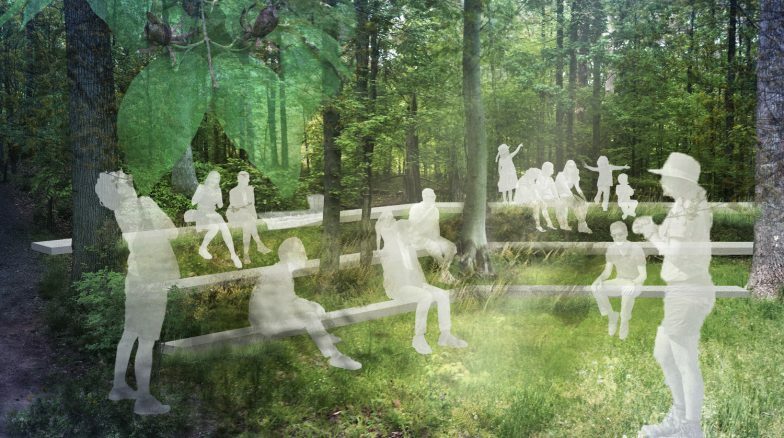 All of these gardens would be threaded together by a loop trail with clear wayfinding. Our design also features an educational stormwater management feature. Rainwater will be collected at three points on the building and then be directed into an ephemeral stream that moves down along the main pathway. 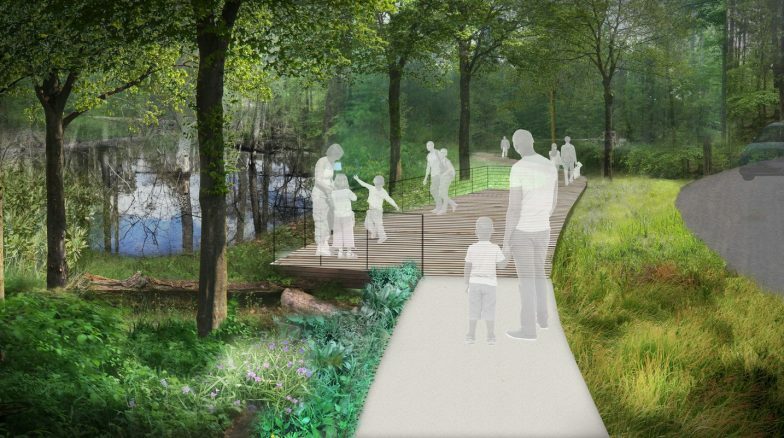 The stream will widen as it moves down the path, intended to illustrate the increased stormwater flow as the stream ends to the south in a stormwater wetland. Cisterns are also installed for irrigation on the site.